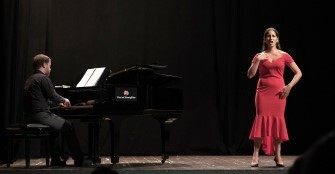 Meastro Ubaldo Fabbri founded his international summer academy, Voci nel Montefeltro, with special emphasis on diction, phonetics, phrasing and expression in Belcanto in 2004. 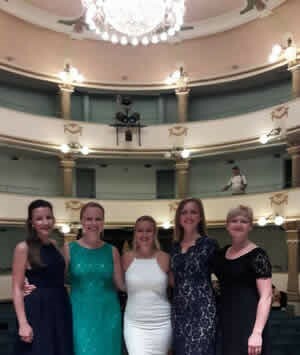 The Lingua del Canto programme was originally founded by Sheila Luxon in Urbania, near Urbino in Le Marche in 2001, in collaboration with the Centro Studi Italiani summer vocal and language programme. In 2004 the Lingua del Canto programme moved slightly north to Novafeltria to join Meastro Fabbri as he set up his new academy. Sheila retired in 2009 and since then until last year just a few students came out for coaching with Maestro Fabbri. Since 2016 we made a fresh start with Linda Hirst, Head of Vocal Studies at Trinity Laban Conservatoire, London as our Artistic Director. She has now retired and we are delighted to welcome Sarah Pring as our new Artistic Director. She teaches at both Trinity Laban and the Guilldhall School of Music and Drama, while continuing her performance career at the Royal Opera House and English National Opera. Sister summer courses held in Novafeltria in collaboration with Maestro Fabbri are La Musica Lirica, based in Decatur, Illionois, "La lingua della Lirica" based in NewYork (the Mannes and Manhattan Schools of Music) and also the Japanese 'TSP in Italy' programme.